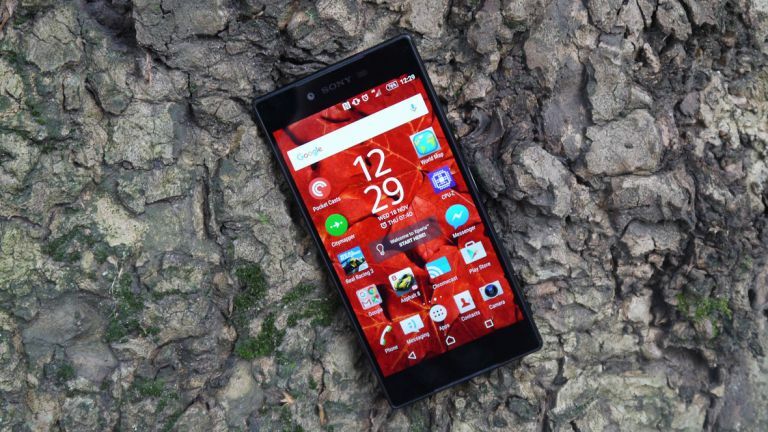 Sony Xperia Z5 Premium review: a piece of technology history? Sony has only gone and done it – brought the first ever 4K display to a smartphone, but does it really need to be there? It's impressive what Sony has managed to do with the largest phone in its new Xperia Z5 range, but putting a high-quality display isn't just going to make it a perfect phone. There's much more to get right – Sony managed to do so in both the Xperia Z5 and Xperia Z5 Compact, but the Xperia Z5 Premium is prone to quite a few more problems as it employs a different design ethos and has loads more pixels to power. Sony took a step forward with the Xperia Z5 and its new metal edges and frosted glass back – it looked great and felt like something you'd actually show off to your mates. And now Sony has chosen to take a step back to the dark days of the Xperia Z3+ with the Xperia Z5 Premium. The glass on the back is clear again and doesn't have the frosted effect that made the Xperia Z5 feel premium (except the gold version, which seems to head back in that direction) The edges once again feel tacky - it's an aluminum with a gloss finish - that don't compare with the slick metal edges of the Xperia Z5. I really enjoyed the look of the Xperia Z5 but I feel this is a step backward again, and what isn't clear is why Sony has done it. Surely it would have been simple to replicate the premium feel design of the smaller versions? The Xperia Z5 Premium also feels cumbersome in the hand. Sony could do with shortening the bezels along the top and bottom to make it feel a little easier to hold. It's a weighty phone so Sony should be doing everything it can to make it easier to hold. It isn't exactly the easiest phone to slip in or out of your pocket. It's all a little more like the iPhone 6S Plus than the iPhone 6S. Then again, it is waterproof, and that's still a brilliant design trait that it's easy to take for granted. Our headline act is the Xperia Z5 Premium's 4K display. It looks gorgeous and offers a huge 806 pixels-per-inch, something we've never seen on a smartphone before. I've put the phone alongside both the LG G4 and Samsung Galaxy S6 though, and it's quite difficult to tell the difference in display tech. Picture quality on the Xperia Z5 Premium is stunning, but that's the same for everything played on the 2K display phones. We've hit a point where it's difficult to tell what screen quality it is on a 5.5-inch display. Plus there's a real lack of 4K content out there right now. Testing this out all I really couldn't find 4K content that wanted to play on this phone - most of the time it was downscaled. Sony has improved the Xperia Z5 series camera by quite some way, but you need to do some real fiddling with it to get the best possible image. It had a huge 23MP sensor on the back camera, but you need to enter the manual mode to be able to get those high quality images. The fingerprint sensor on the side of the phone is particularly impressive – considering this is the first time Sony has tried this kind of security hardware it works surprisingly well. I didn't have any issues with my fingerprints registering and the side of the phone feels like the perfect positioning for the sensor. Then there's PS4 Remote Play. It allows you to play PlayStation 4 titles on your mobile phone and this is the first time you can do so on a 4K display. It's a great idea but I'd rather have a larger display like the Xperia Z4 Tablet to play on. Performance on the Xperia Z3+ was awful, so it's good to say Sony has improved a lot under the hood on the Xperia Z5 Premium. There's a powerful Qualcomm Snapdragon 810 processor there doing all the work, and it handles it really well. Playing the top of the range mobile games on the Xperia Z5 Premium ran perfectly with 3GB of RAM performing well as well. It stills heats up quite a bit though – when it's doing difficult tasks such as running high-end gaming I kept finding the Xperia Z5 Premium getting really hot to the touch. Too much so; your phone shouldn't be heating up anywhere near this much when gaming. Another disappointing element of the Xperia Z5 Premium is the battery – there's a 3430mAh battery inside here but it doesn't do very well on a day to day use basis. Everytime you fire it up that 4K display is draining a lot of battery and I often found myself out of juice before the end of the day - even though not all the 4K pixels are powered on all the time in an attempt to save power. It's not good enough and it's a shame Sony has decided to up its screen technology before focusing on battery – a big problem for most phone fans. Out the box the Xperia Z5 Premium is running Android 5.1 Lollipop software, but Marshmallow will become available in time. It's still a perfectly usable OS, if not packing the cool new features of Android 6 (such as Doze, the battery-saving mode which would be useful here). That said, Sony's UI placed on top isn't the most aesthetically pleasing. I'd rather have the stock version with a lot less bloatware as Sony sees fit to include a lot of largely useless apps around the edges such as Kobo, Amazon or even its own Xperia Premium app to offer events. Sony has done something impressive here by including the first ever 4K display on a smartphone, but it wasn't exactly necessary. It may sound exciting and for those early tech adopters it'll be on the top of a lot of must have lists… but when you consider battery life it's not really good enough to justify the extra pixels. I really can't see much of a difference between this and a 2K display so it's a real shame Sony has decided to go for more rather than a better user experience. When it comes to design I wanted to see more of the 'standard' Xperia Z5 influence but instead Sony's gone for a mirrored finish, and I'm not sure it screams premium in the way the brand wanted it to. You may think you're picking up a piece of technology history here, but instead you're getting an unfinished-but-still-decent product. I'd recommend the Xperia Z5 or Xperia Z5 Compact over this because 4K is largely useless right now.